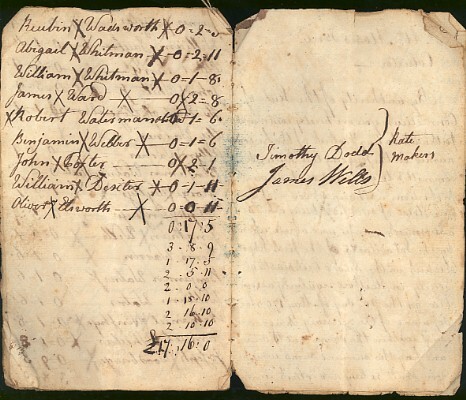 A 14 page, hand written list of tax collections in 1793, as agreed upon by the inhabitants of the First School District in the second Ecclesiatical Society in Hartford, Ct. 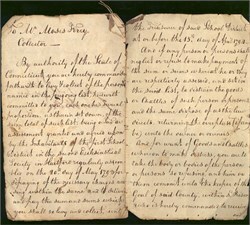 The taxes were levied by authority of the State of Connecticut. Authority was given to confiscate the goods and chattles of those who neglected or refused to pay, and dispose of them for payment. "And for want of goods and chattles whereon to make distress, you (the tax collector) are to take the body of the person so refusing, and him or them commit unto the keeper of the goal of said County.... and safely keep him or them until he or they pay and satisfy the said sum." 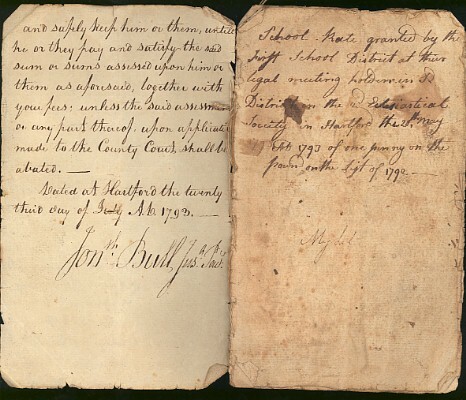 Signed at Hartford, July 23, 1793, by Judge Jon. Bull (Johathan Bull). There are six pages of names (see scans for partial). Condition: soiling, stains, creases- still in VG condition. 4" X 6 3/8". 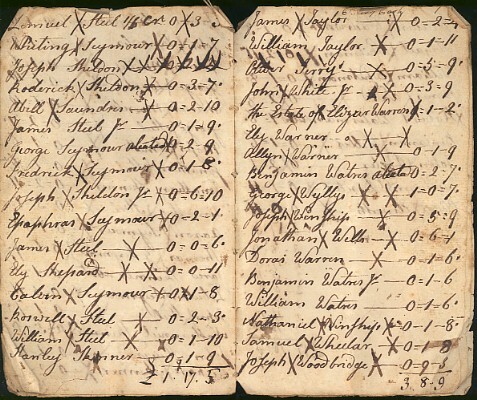 Some of the listings include such taxpayers as Oliver Ellsworth, Amos Bull, and many others.